As I write this, 13 years ago today the airliners were in motion… the images and videos still resonate, reminding us of the physical and emotional devastation, the chaos, many people felt around the world on 9/11/2011 and continue to feel today. The last time I was in NYC the memorial wasn’t complete.. I hope to visit next year. A beautiful tribute of remembrance to honor those who lost their life on that day. I will never forget where I was the day of the attacks. I took our sons, Isabella wasn’t born yet, to a donut shop for breakfast before our oldest son’s, Anthony, preschool class. Brendan was only 1 yrs. We were on our way to school when my husband called and told me of the attacks. When I arrived at the preschool, no one had heard of the attacks yet. I rushed home to watch television and was glued to it, in tears, for the next 24 hours. 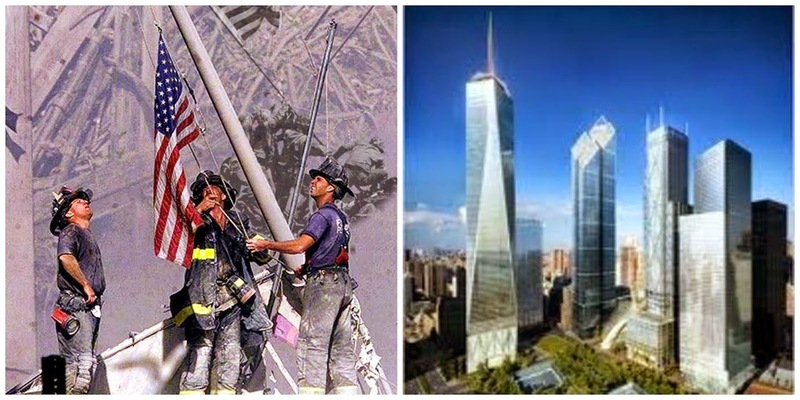 When the first tower came crashing down, I burst into tears and shortly after, the second tower fell. I can’t watch the footage to this day. It was devastating. I can barely write this post without crying. I will never forget. Do you remember where you were at the time/day of the attacks?